There seems to be quite a few people who have one of these Tribute HB models now so I thought an owner's club thread could now be started. 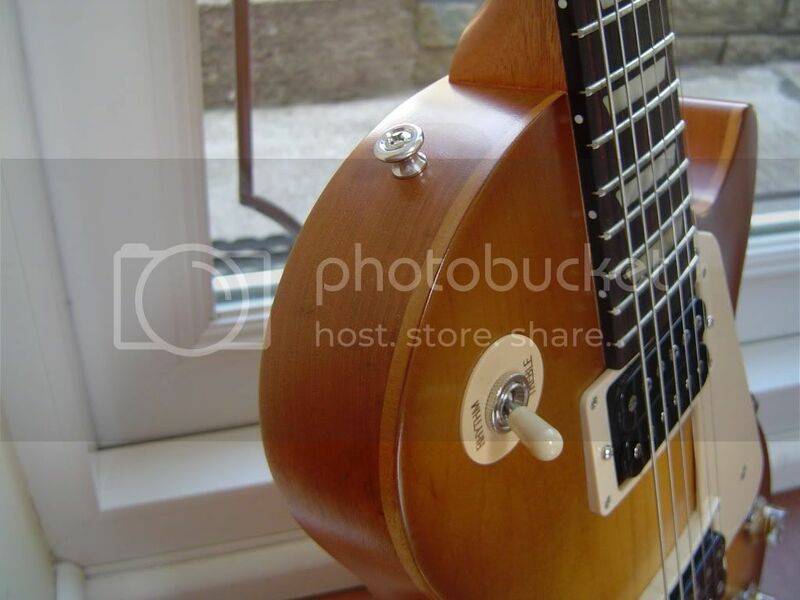 These are currently a Thomann, Germany exclusive but I'm sure that will change. 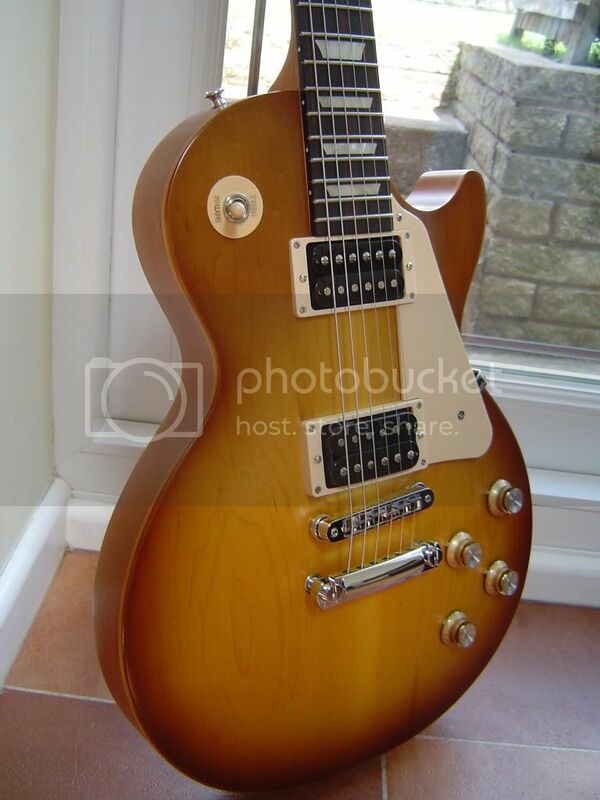 It's great to have the option of buying a genuine Gibson Les Paul HB with a nice finish for a very affordable price..........and they seem to be selling well! 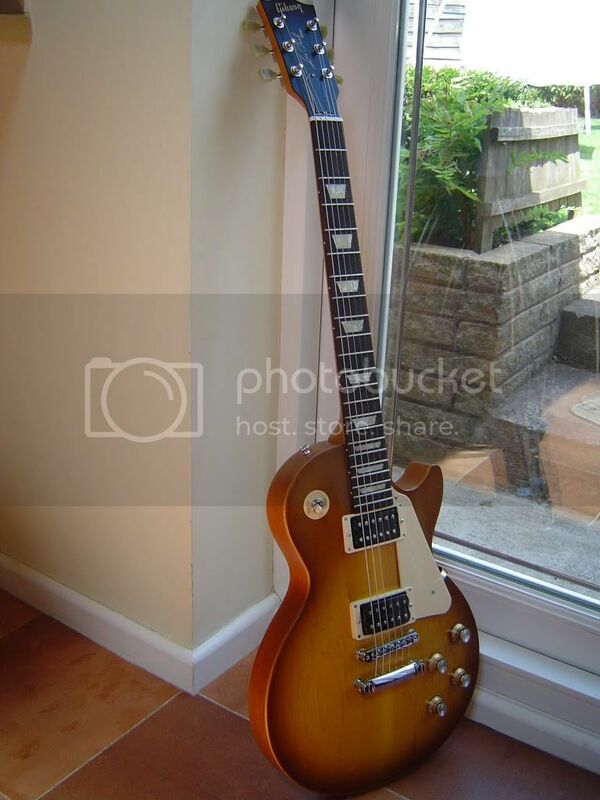 So, please post up pics of your LP Studio Tribute HB. While the current models are available in '50s necks only the above title also allows for '60s models for those who prefer that neck profile. So come on Gibby- get making them! 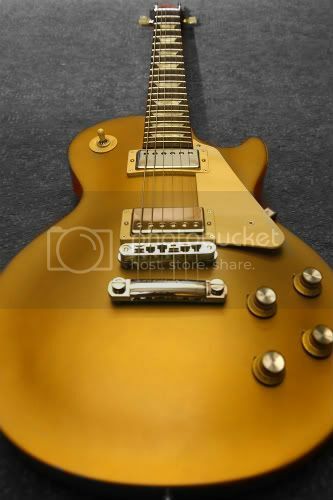 Here's my new Gold Top Tribute HB. The hang tag said it's a 60s model, but I'm not really sure. In fact I'm unsure whether it should even be officially available out here in Australia. It's my first Gibby and I couldn't be happier. 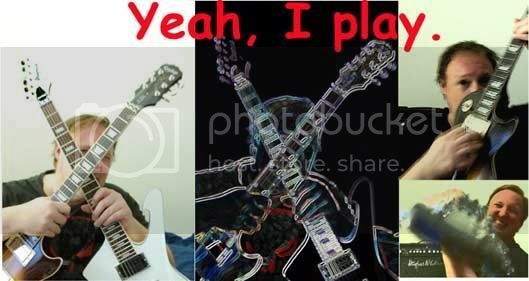 Those are great looking guitars! 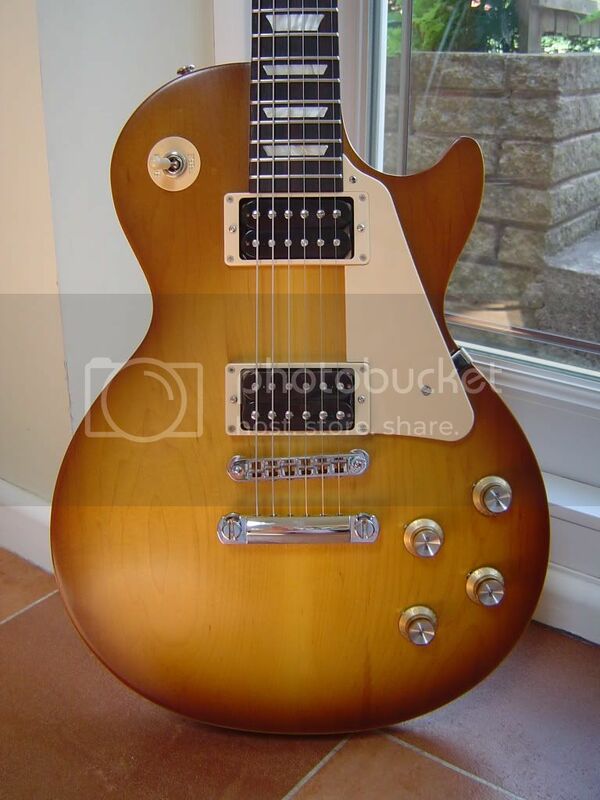 To support Alan's initiative, here is mine: Gibson Les Paul Tribute 50s Humbucker, Satin Honeyburst, Dark Back, Baked (some calls it also Toasted) Maple fingerboard. Delivered on Dec. 16th 2011. 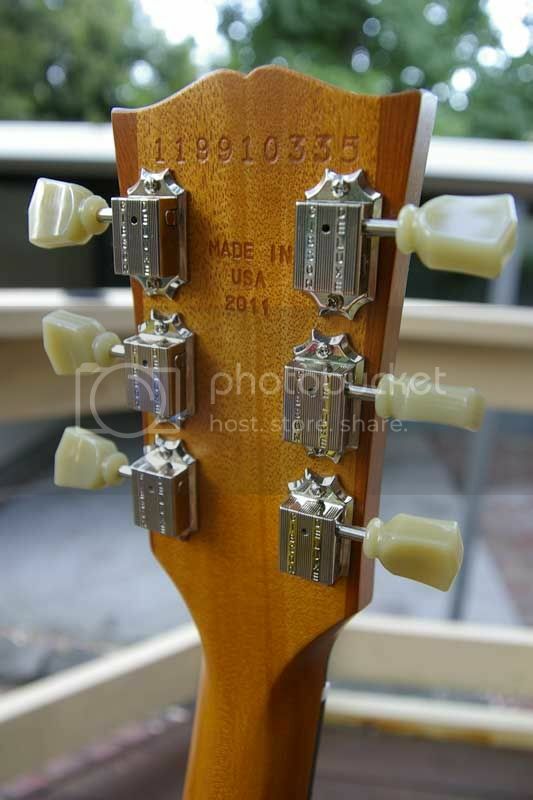 Now that one is new to me- chrome covered pups, possible '60s neck. Aussie special??????? We need more pics and full specs, Philbo. Nice guits guys! Keep 'em coming. 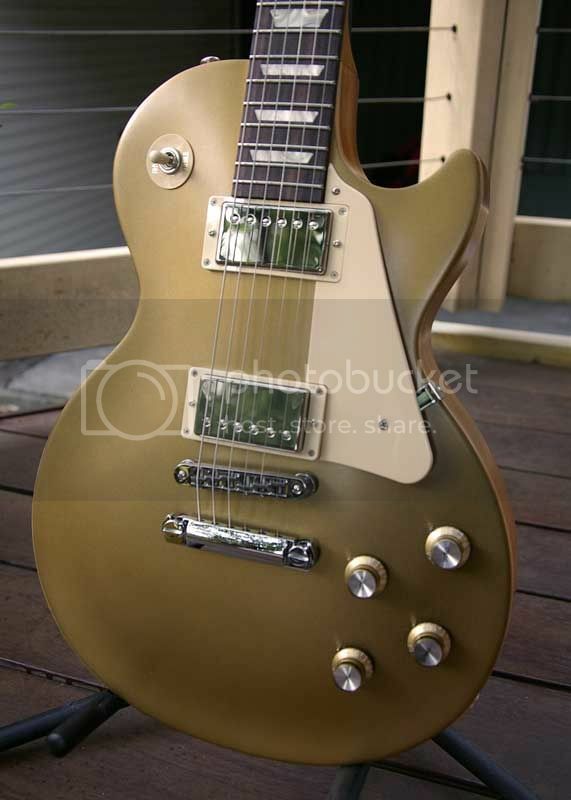 Here are some more pics of my gold top. Although the hang tags say 60's Tribute, the inspection sheet quotes the model as a 'LPST50HWGCH1', manufactured July 2011. I've got no idea what that model code refers to, but the 50 suggests a 50's Tribute model to me. 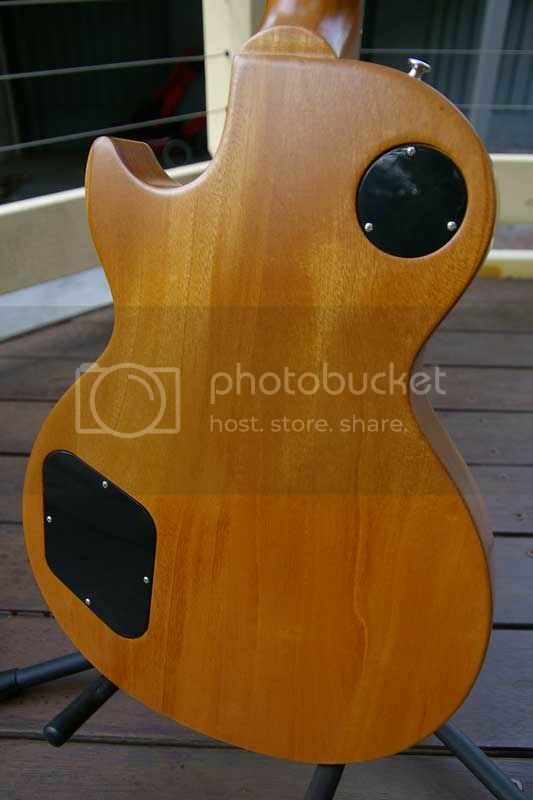 I'm still none the wiser how a supposed Thomann exclusive model ended up in Australia. 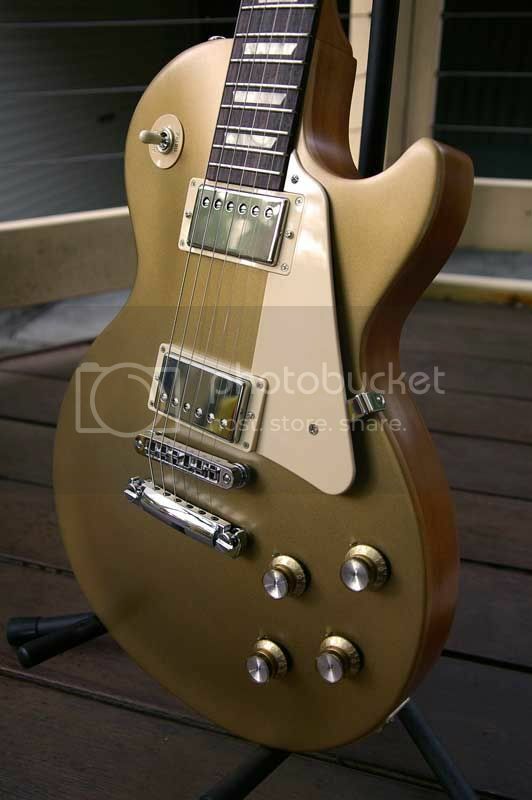 I had the nickel pickup covers added when the dealer did a setup as it didn't look quite right with the humbuckers exposed. 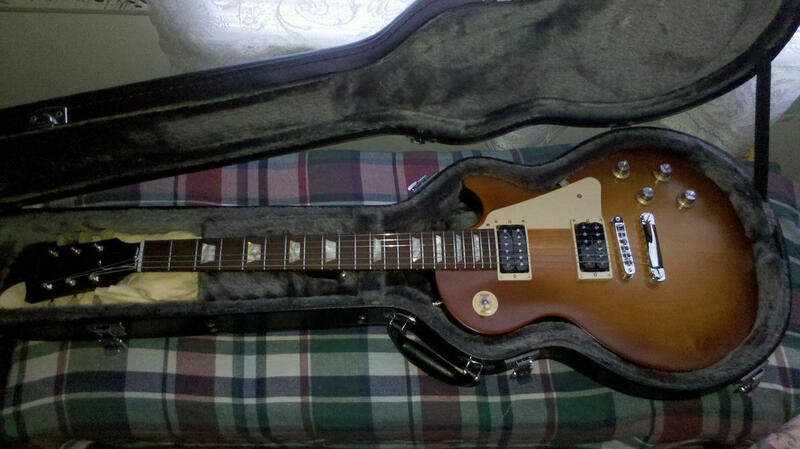 My Tribute is one of the few guitars I own that I can't find a fault with. Thumbs up to Gibson on this one. @Philbo : the hang tags are wrong. This is clearly a 50s from the first run (with natural back). The pickup covers are finishing it well. 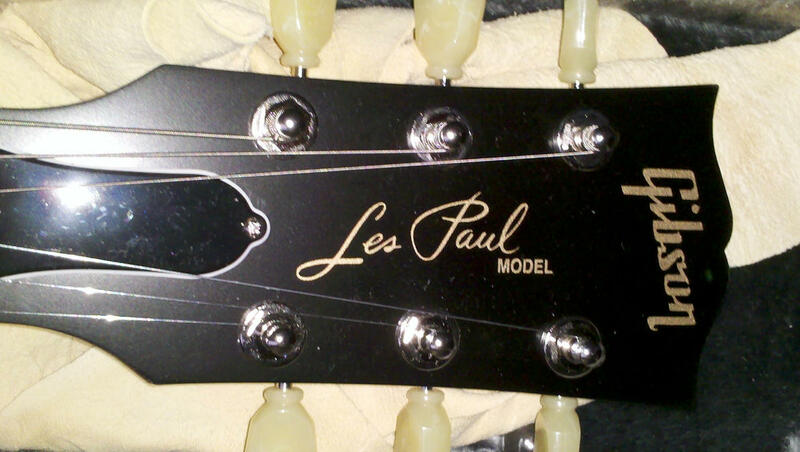 I am also thinking about putting them on my Tribute (I will probably ask a guitar service to do it). Could you notice a change in tone/volume between the original uncovered pickups and after the mod was done? Have you made the mod yourself? Regarding your question about Thomann's exclusivity: Thomann can ship overseas, including Australia, from their German facilities. 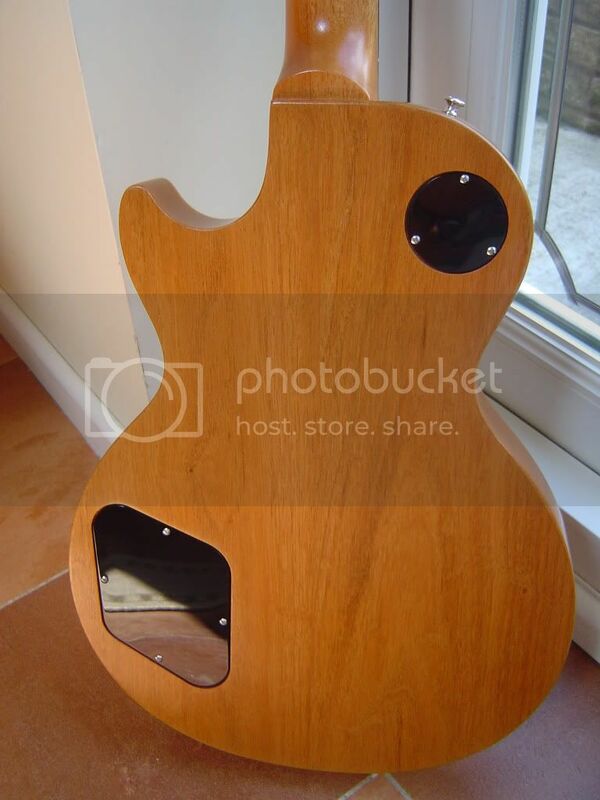 If this is the case, your guitar has travelled a lot (USA -> Germany -> Australia), not the shortest way. Cool to have not only a good sounding and good looking, but also a rare guitar, as you will not find many similar ones in your country. Thanks for the info. My LP was hanging in the store with a group of P90 60s Tributes so it's possible the hang tags were swapped with one of those. 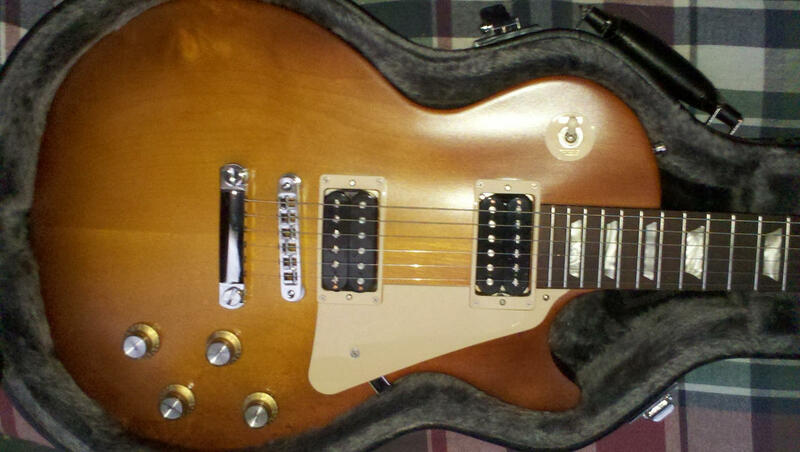 I got all the gear together to put the pickup covers on myself - silicone, solder, genuine Gibson covers. But I chickened out at the last minute and got the dealer to do it at the same time as the first free set up. As far as the sound goes, there was no loss in volume and a very slight loss in the higher frequencies after the covers went on. 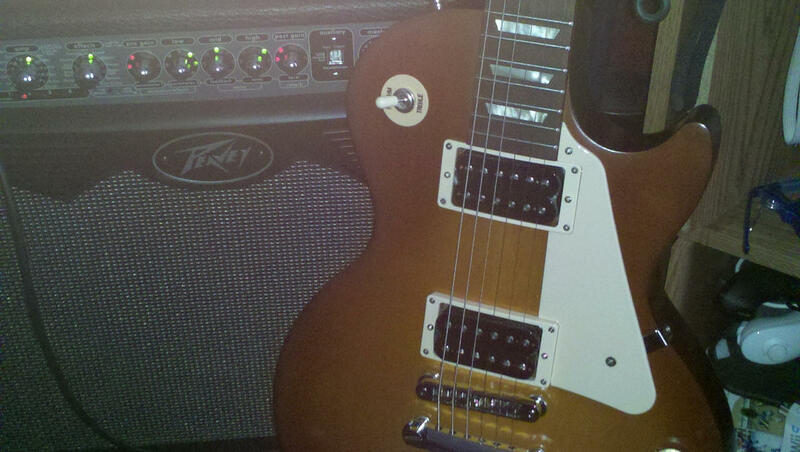 It's nothing that I can't get back by tweaking the treble tone control on my amp. On the plus side, it has made the buckers properly silent whereas there was some slight hum before the covers went on. I'm happy with the change and it's easily reversible if I change my mind when I'm old and senile. 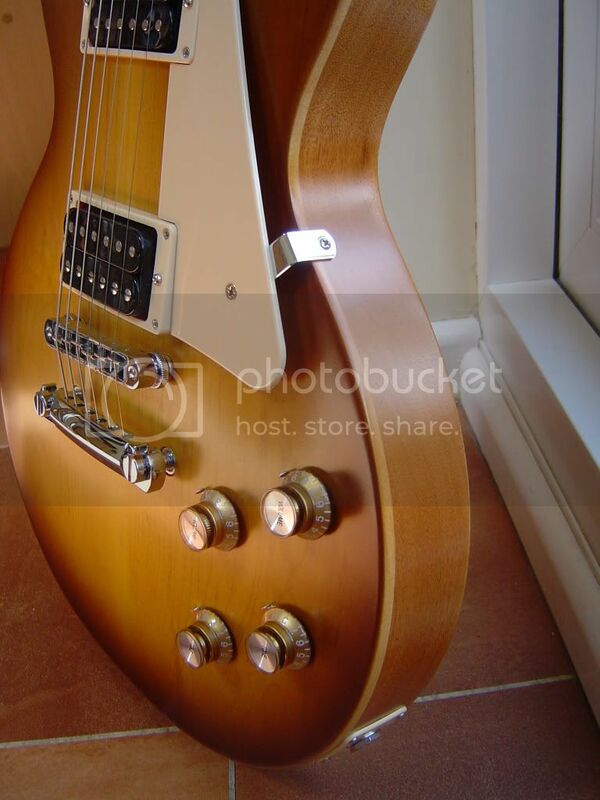 @Philbo : Please, which pickup covers have you chosen? The nickel ones or the chrome ones? 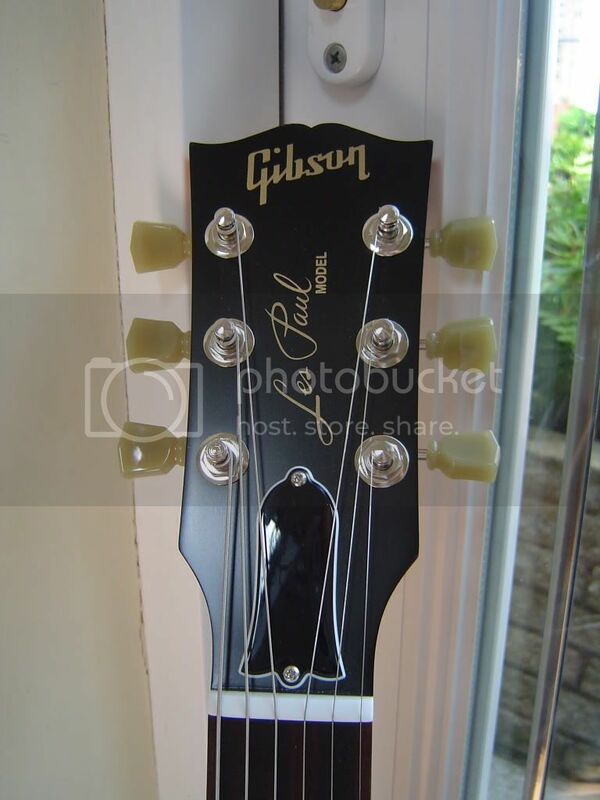 I thought they were nickel, but I've just checked and they are the Gibson chrome covers. 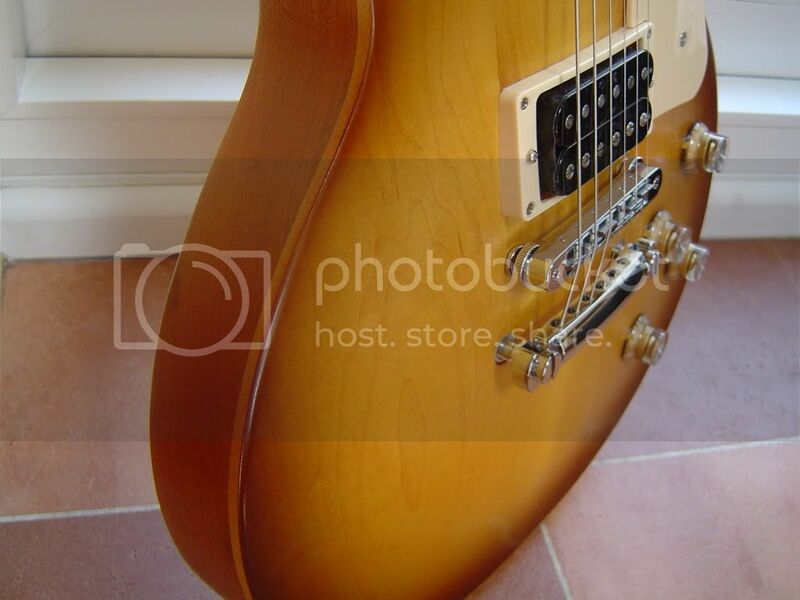 They were an absolutely perfect fit for the factory humbuckers. 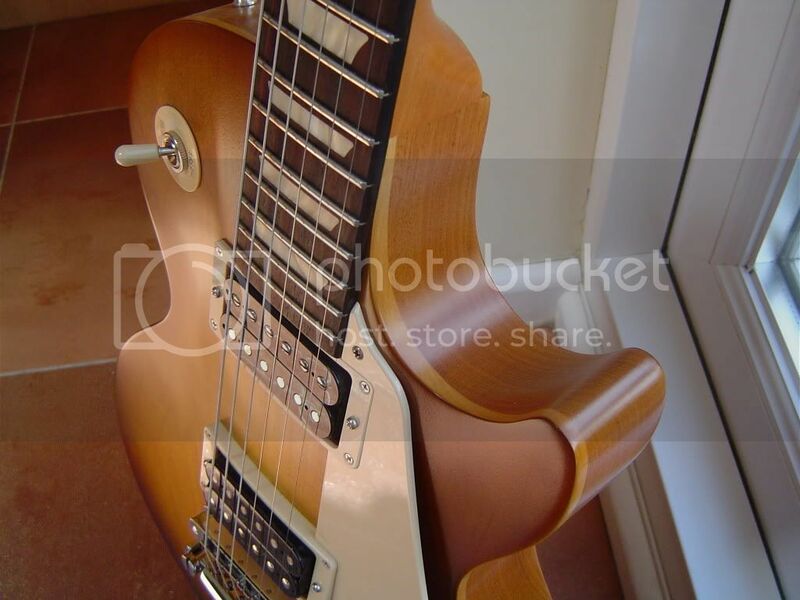 I'd read a few stories of some Gibson covers not fitting very well. Thanks for deciphering the code Alan. That actually makes perfect sense! I just ordered a set of nickel covers for mine. Matches that Tweaker stack perfectly. Who says men can't coordinate things around the house? 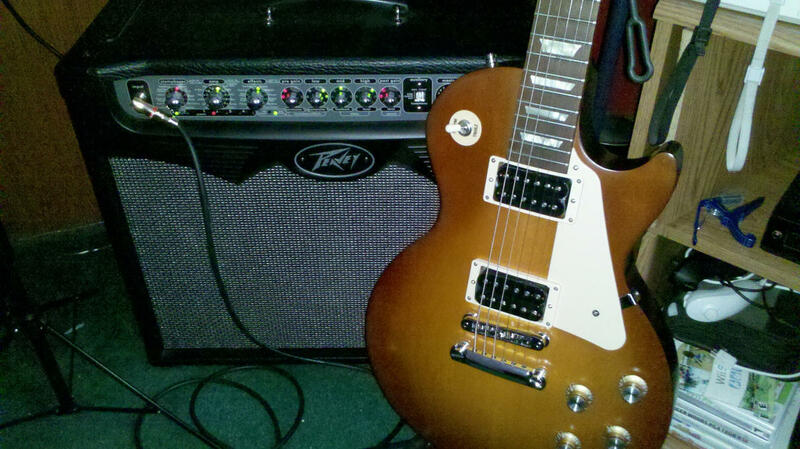 with a jetcity 2x12 cab. Sorry to look picky but it seems to me the chrome covers look better than the nickel ones. Probably because the plating of the stop bar and the bridge is chrome.